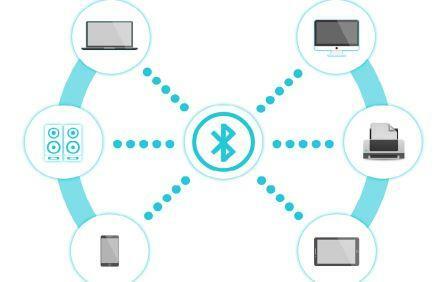 Bluetooth is a high speed technology that requires relatively less power that is designed to connect all the electronic devices from mobile phones to other portable computers. This technology is mainly used for low power radio communications to link mobile phones, computer and other network devices over a limited distance without a physical cable. The signals are being transmitted wirelessly over a shorter distance, generally up to 10 meters. Bluetooth supports the frequency band of 2.45GHz and can support till 721KBps along with three voice channels. This frequency band has been set aside by international agreement for the use of medical devices (ISM), industrial, rd-compatible with 1.0 device and scientific devices. It is achieved by embedding low-cost transceivers into the devices. In case you are interested to do innovative engineering projects using bluetooth technology but don’t know where to start, Skyfi Labs has developed Online Project Based Courses that you can use to build your projects in the best way possible. Our Learn-Do-Review Methodology ensures your learning while you build your mini or final year projects. Kits needed will be dispatched to you within 24 hours and you get instant access to the course content. Using the kits and course content, you can build super awesome Bluetooth based Engineering Projects! Build Innovative Bluetooth based Engineering Projects using Skyfi Labs Online Project Based Courses. Click here for more details.